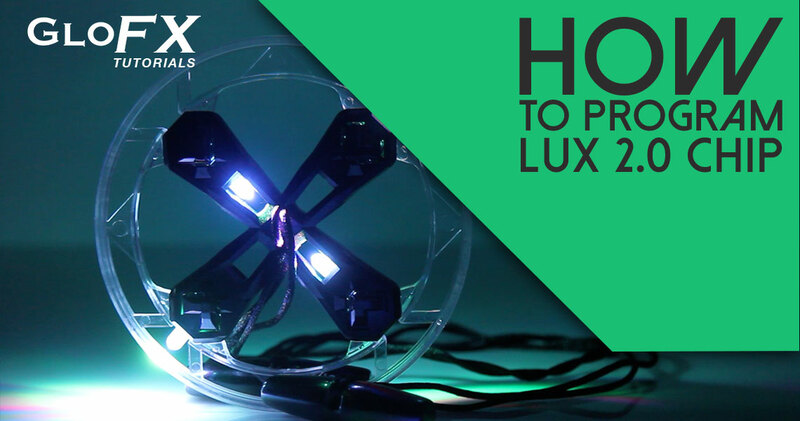 The GloFX Product Development Team spent over a year and countless hours developing the Lux Orbit. The 2-LED Lux Orbit 2.0 combines LED lights with luxury. Lux means “a unit of illumination or light” in Latin, and the name of this product truly captures its essence. Lux is aimed at light show aficionados and flow art enthusiasts who crave the newest and most elite products. The Lux Orbit is housed within a virtually indestructible Polycarbonate (PC) shell. PC is the hardest material available, better than ABS or other commonly used plastics. This is the same materials used in riot shields to protect the lives of police officers. PC is also lightweight for faster spinning. The black shell hides inner mid-section light to produce even rings and crisp light trails. The Lux Housing features Pro-Click Buttons for easy mode changing and color selection on each of the four LEDs. We didn’t stop with the housing – our lights feature the X-Clip and Pro-Click Button. Our “X” shaped battery clip is designed for insanely fast battery changes and guaranteed to hold your batteries tightly in place. Pro-Click Buttons are easy to press while in motion for lightning fast mode changes. Rest assured, we thought of everything when designing this housing. Perfect string tension. Perfectly balanced. Easily Removable. The best orbit in the world also needs to spin perfectly…so we carefully balanced our orbit for flawless tricks. We added thicker 2 mm satin string paired with the GloFX T2 Handles. Our handles feature the ability to produce maximum tension and pull-strength in your orbit. They also let the user perform insane tricks while maintaining absolute control of the Lux Orbit. Better yet, the handle is ergonomically shaped to fit in under your fingers, behind your hand, or in your fist. The slim design let’s the user wrap the orbit string while maintaining a firm grip. Best of all, the T2 Handle can be removed from the orbit in under five seconds. All Lux Series products are exclusively available through the Official GloFX Brand and its resellers, and are proudly designed and assembled in Tallahassee, FL USA!